Outdoor television programming has a tremendous impact on hunters, hunting and the image of both. Tens of millions of Americans have access to that programming and, of course, the image portrayed plays a vital role in determining how society perceives the hunting community and inevitably accepts or rejects hunting as part of our culture. Through outdoor television and other media, we know the hunting culture embraces many traditions. From clothing styles and hunting techniques to hunting camps and rituals of preparation and celebration, there are countless special aspects of our mainstream hunting lifestyle, both historical and contemporary. In “Post-Kill Rituals: Matters of the Heart” (American Hunter, Sept. 2016), author Patrick Durkin postulates that “Hunting’s [traditional] post-kill rituals aren’t spontaneous like [today’s TV-inspired] high-fives or war-whoops, but perhaps that’s where they started.” He further suggests that the post-kill celebrations we see today, largely in outdoor television programs, may be an evolution of our early hunting forefathers’ expressions of gratitude for the sustenance a successful kill provided. However, the chest-bumping and back-slapping seen on modern hunting shows display a behavior that divides viewers. Some like and accept it; others do not, seeing it as being disrespectful to the animals killed and placing more emphasis on killing or on a trophy than on the experience of being part of the life cycle. And there is another segment of the population watching and evaluating these shows: the anti-hunters, who constantly seek to destroy hunting, reduce hunting opportunities and demean our hunting heritage. That given, it is important for us to recognize there are two sides to hunting programs. They can be good—or bad. So, what’s good about outdoor programming? In an interview for an outdoor TV network magazine a number of years ago, Will Primos said the celebrations on his shows were a demonstration of happiness and pride among his crew. He said they recognized the success of a challenging job: to plan and tape a hunt where all the details come together, noting that the challenge included coordinating the numerous people involved, encountering the animal, planning the setting, sound, lighting and more. It was not about killing an animal. Much to his credit, Primos revealed there was a regular part of the experience the television audience did not see: how he and his crew often had to take a few minutes when the cameras stopped rolling for some quiet time to honor and give thanks for the animals they took. Collectively, hunting shows help to create and strengthen the hunting community. They connect viewers with the outdoors, nature, critters and like-minded sportsmen and women. They connect with veteran, new and would-be hunters alike, informing and educating the audience, revealing hunting techniques, teaching woodsmanship skills and providing details on equipment. They share knowledge about game-animal biology and behavior and habitat requirements from season to season. With the programming variety seen today, audiences are introduced to myriad hunting styles, opportunities, locations and game-animal species—from the whitetail deer in your hometown to countless others across the world—planting the seeds of which dreams and bucket lists are made. Thrown into the mix are lessons on how and why hunters are the nation’s leading conservationists. The programs demonstrate the success of the North American Wildlife Conservation Model, wherein hunters have historically—and currently—provided nearly all of the funding for wildlife management through license purchases and the funds raised via self-imposed taxes. Estimates show hunters spend between $2.8 and $5.2 billion dollars a year on taxable merchandise, generating as much as $300 million dollars or more a year in Pittman–Robertson excise taxes on hunting equipment, ammo and more. This highly successful partnership program shows the real world success of how sportsmen, sportsman-supported organizations and the hunting industry supports wildlife and creates and maintains hunting opportunities. To read the definitive paper on how sportsmen fund wildlife conservation, click here. Today’s outdoor shows document the many organizations that work to provide hunting opportunities for youth, disabled, veterans, inner-city folks and other groups—exposing millions to the potential of being involved in the great outdoors. They help viewers to build the support networks necessary to create and maintain new hunters while highlighting the adaptive equipment that makes these opportunities possible. 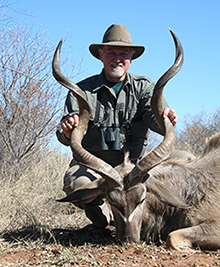 The joys and the values associated with hunting are prominent in contemporary hunting shows. See the face of a first-time successful hunter, up close in HD, and you’ll share in the experience of how he or she learned to be safe, knowledgeable and practiced. You’ll see how new hunters are mentored and learn respect and responsibility to the game animal, other hunters, landowners and the public. You’ll see outdoor television hosts promoting hunter education to new hunters to ensure they are safe and ethical. You’ll see the birth of a conservationist. There are more venues for outdoor hunting programming today than ever, which adds to the increasing variety of shows, hosts and topics. Among the bright spots of this growing library are more programs showing and encouraging couples, kids, women and families to hunt—while showing them how. Even with all that, some note there is also a downside to outdoor programming. Perhaps most prominent among negative feelings about hunting programming is the over-zealous celebration following the kill as previously addressed. In addition, there is the criticized whispering on the part of the on-camera hunter once an animal is down, a behavior that has become part of the culture of hunting programming. Detractors of these celebrations say it sends the wrong message: that hunting is more about killing and not enough about the experience and respect for the life of the animal taken. High among comments about what’s wrong with hunting programming is the focus some have on trophies and the number or overall scoring of points. Many sportsmen and hunting-industry conservation leaders I have spoken with feel the emphasis on horns and antlers is a significant diversion from the more important experience of hunting: sustenance, connecting with nature, being a natural participant in the food chain, building bonds of trust among family and friends, and promoting the wide use of America's renewable natural wildlife resources. While not always the complete picture, many programs show what appears to be an exuberant celebration of the kill rather than immediately showing the hunter's respect and appreciation for the animal taken, as Durkin cites in his American Hunter article. The worst offenders are the producers and editors who repeatedly air slow-motion clips of kill shots. However, it is important to note that outdoor networks have proactively taken steps to tone down these segments. Another example is found on some waterfowl hunting shows where the lead hunter or guide in a waterfowl blind aggressively calls out a command to “kill ‘em!” once ducks and geese are in range. This implies that hunters see their quarry as nothing more than a target to kill. It sends the wrong message about how hunters relate to wildlife and does nothing to emphasize that hunters—and their dollars—play a critical role in wildlife conservation. A more recent example of programming that can send the wrong message is the tendency for some shows to feature hunters taking long-distance shots out to 600 yards or more. While some explain that extensive practice, special training and technically-improved scopes and ammunition make this possible, hunters must remain aware that such distances are viewed by some as an unethical practice. This takes yet another step away from America's traditional values and big-game hunting practices. Adding to this, some shows are viewed as ego contests. Others show a hunter taking the shot but then cut to a scene where the hunter finds the downed animal in what is obviously a “set-up” shot. In these instances the actual hunting experience is clearly recreated instead of showing the authentic footage of the hunter retrieving his game. On a whole other front, some see contemporary hunting shows as being more about industry commercialism—so-called blatant “walking commercials” or infomercials for a company's product—rather than sharing the actual exciting hunting experience and America's treasured hunting heritage. And the list continues. Bottom line: Outdoor television hunting programming is a double-edged sword. The challenge to programming networks, producers, hosts, editors and sponsors is to continue working at making the upside of hunting more meaningful and prominent. And to be fair, as noted earlier, the networks are aware of the programming challenges and public attitudes. All of them have within their quality-control process specific guidelines that direct or prohibit potentially questionable practices from being included. Shows that step outside the guidelines are typically sent back for further editing. Perhaps the biggest challenge to the future of hunting programming, however, is the fact these shows are owned and operated by corporations whose leaders sometimes have little—or less—connection and experience as hunters and more connection with the business side of the operation. From that perspective, the focus is on the fact that show production costs money—and sponsors provide that funding. Networks and producers must make a living and, therefore, are directly influenced by advertisers and sponsors. The role of outdoor television hunting programming will continue to connect with and influence millions of viewers—most of whom will be fellow hunters and sportsmen. But again, other viewers will be those looking for any opportunity to discredit our hunting heritage and end all hunting. The outdoor television industry needs to take its role in the future of hunting seriously by presenting the best in hunter attitudes, ethics and behavior and showcasing the truly positive image of the American hunter.